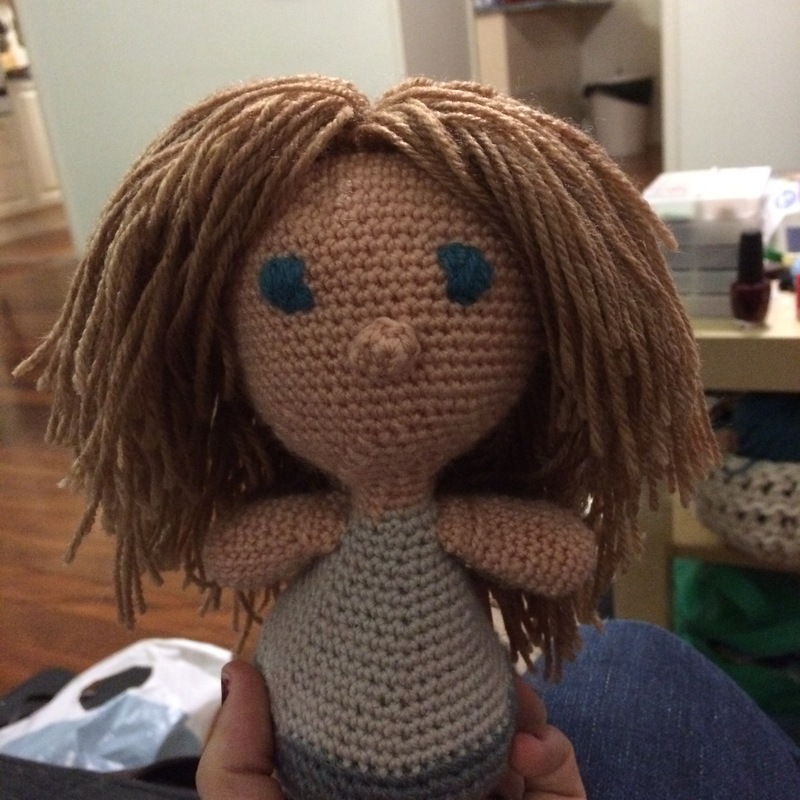 After working on it this weekend, I released my first crochet pattern on ravelry! Yay! You can download it for free here! 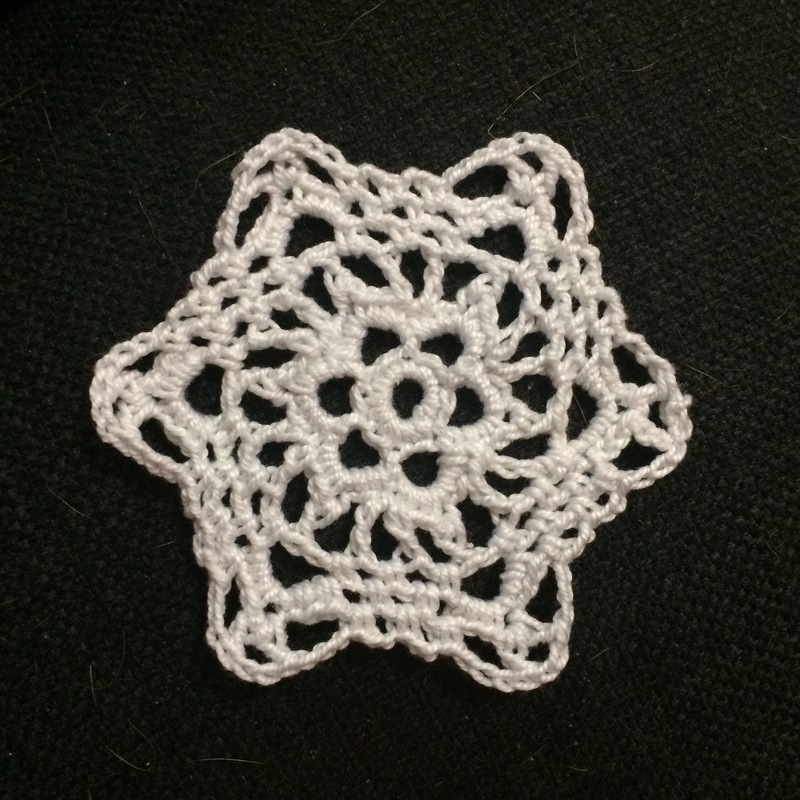 It is for a snowflake pattern I created on Friday. 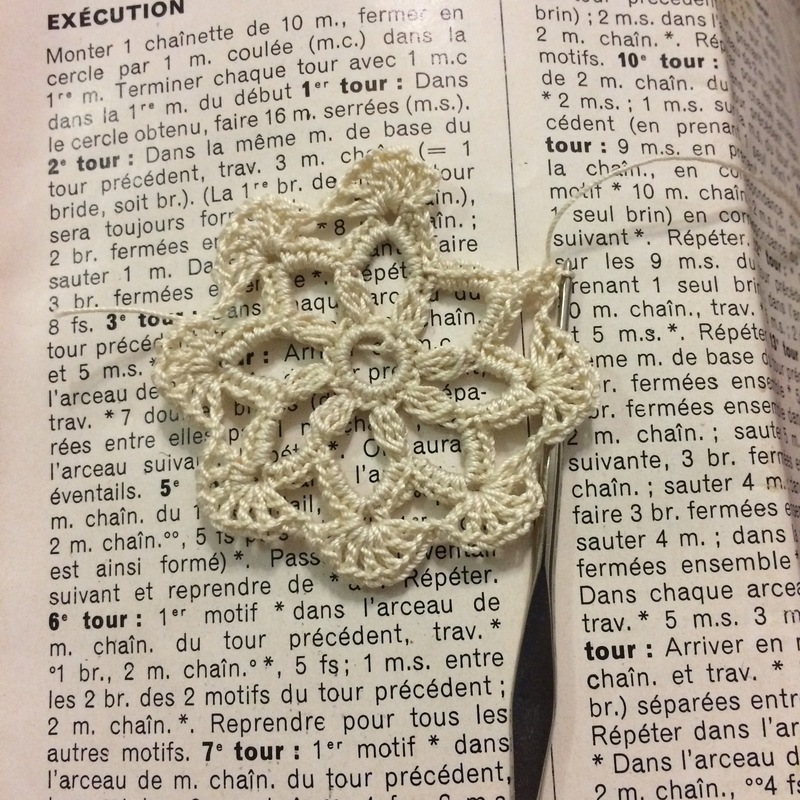 I was looking for a motif that wasn’t too lacy because I would like to join several of those to make a shawl eventually. I’ve made the first one in white but will be adding pale blue ones as well, for an icy effect. Over the weekend I’ve also been doing some Christmas cards. One of my colleagues also loves crafts and lended me some of her paper punchers and her glitters! So much fun! I haven’t taken pictures yet though but I will tomorrow (I need a few more for my Aunty and my godfather). Hope everyone had a great weekend and that you had some time to relax and enjoy! 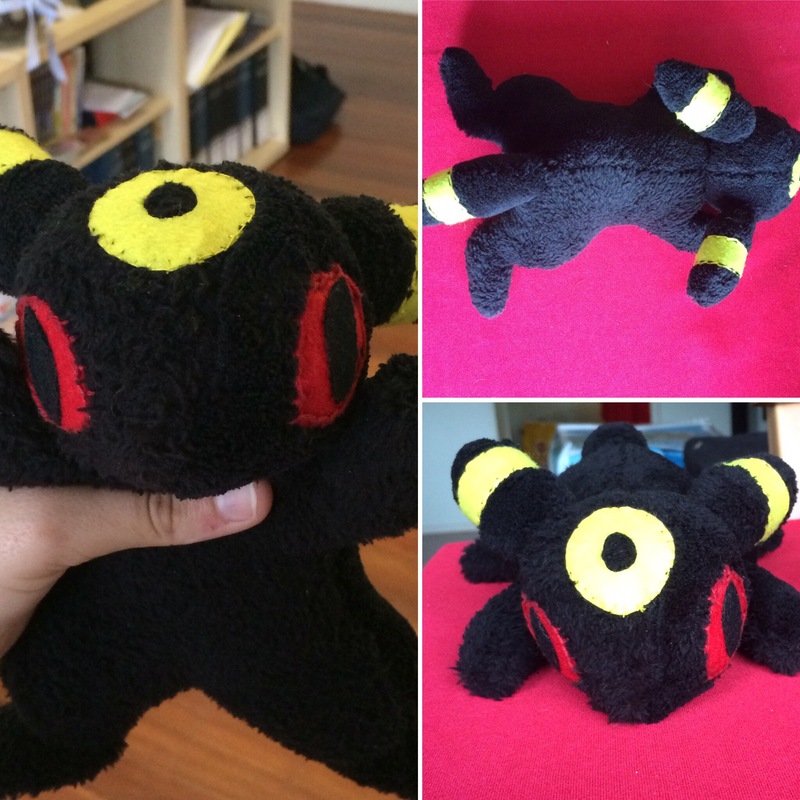 I’ve been so slow with this project lately, I might just put it on hold until Christmas. 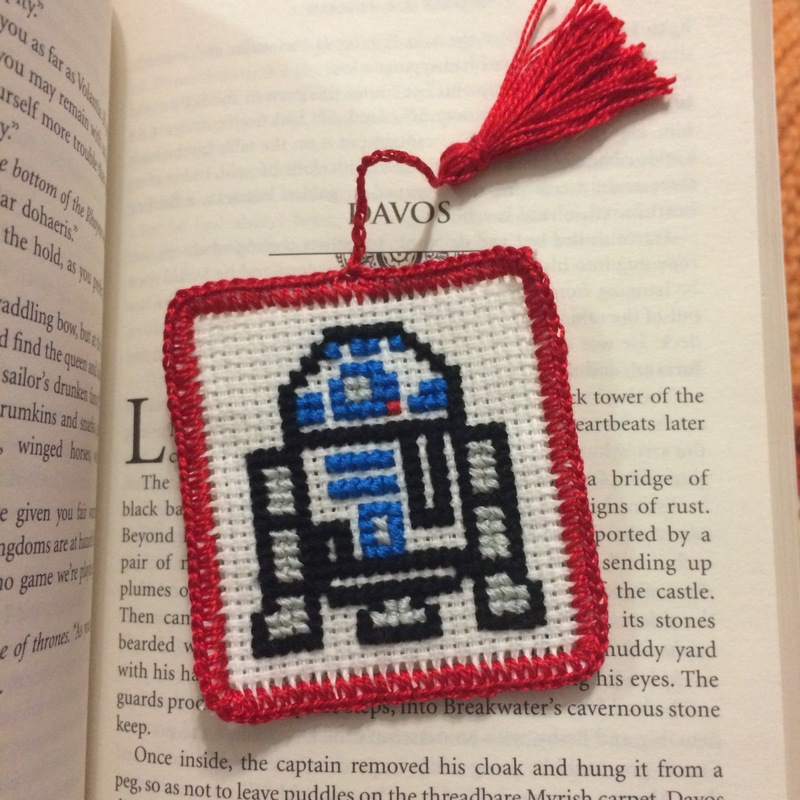 I have decided to cross stitch lots of bookmarks for my family because they are small and they will fit in the cards I’m sending over, so I’m probably going to be busy with that over the next few weeks. This weekend we are going to Supanova (pretty much the Aussie comic con) and I’ll try to remember to take pics of all the amazing costumes. … Is not actually about a pheonix! 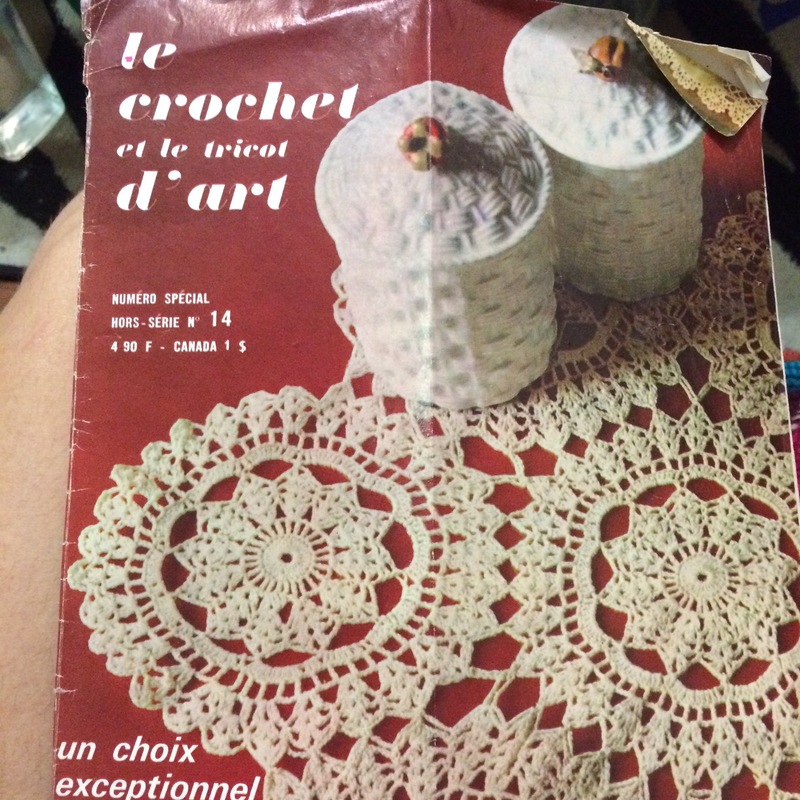 Two years ago, I bought a pattern book from lincraft to make summer clothes. 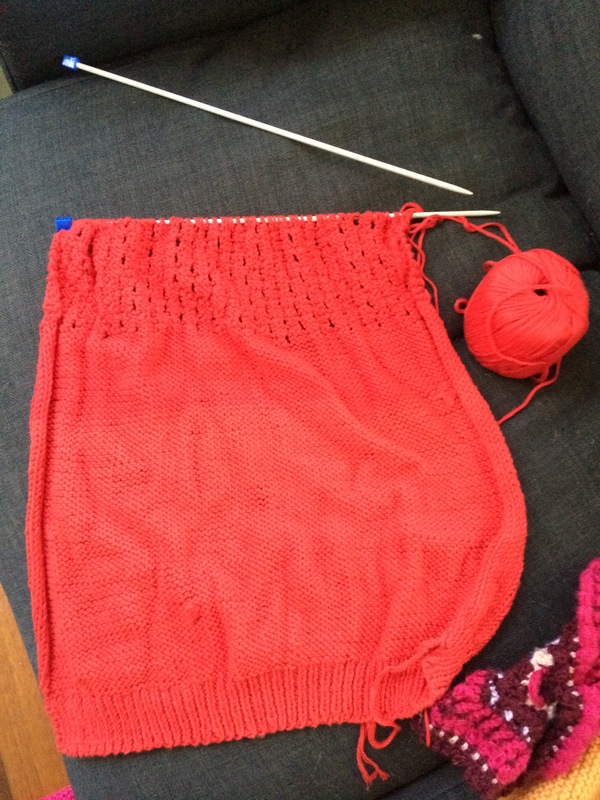 I started on a very cute knitted top made with “bamboozle” yarn (part cotton, part bamboo fibre). The problem is I got bored and put the project aside. 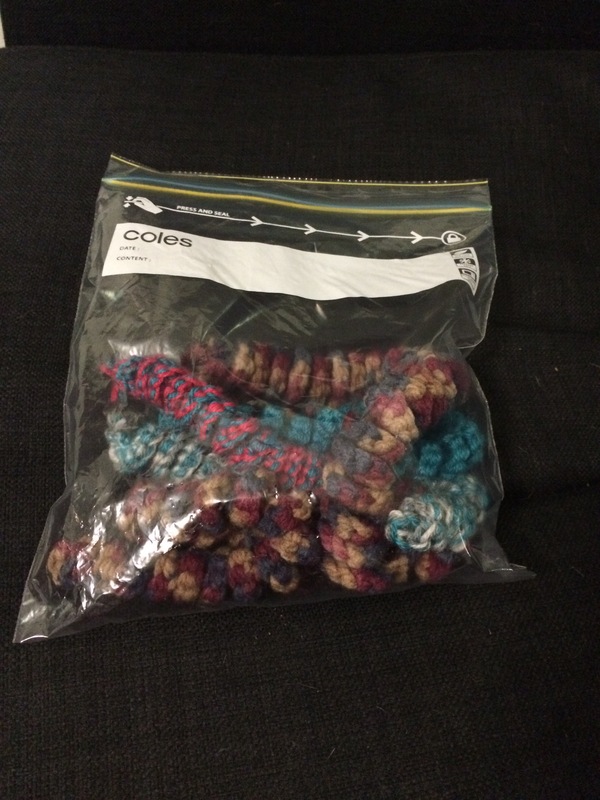 When I found it at the bottom of my stash, I though I’d give it another try but I ran out of yarn. 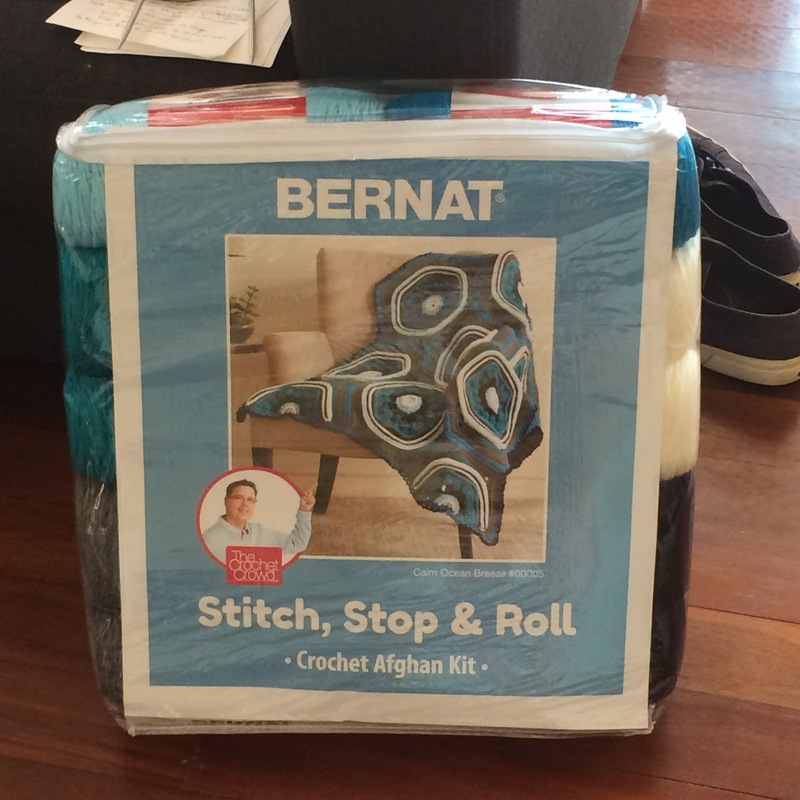 And of course, it has since been discontinued so I couldn’t finish the top. 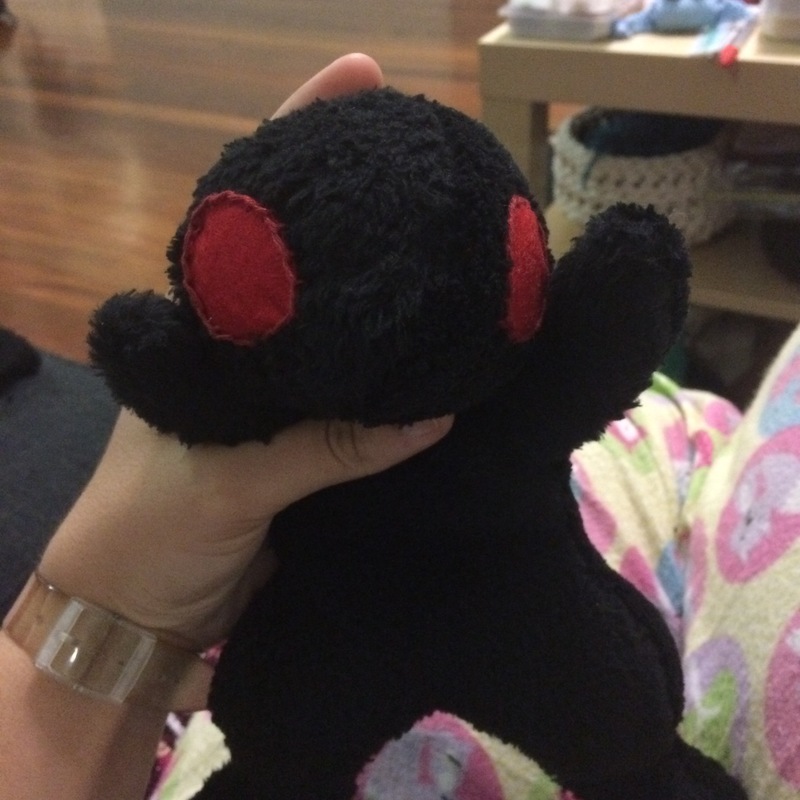 Anyways, I unraveled the whole thing. I had quite a lot done so I was a bit disappointed but I really couldn’t finish it, I would only have had the front of it! But the yarn is not waisted, I am using it for another project from the same book (but much smaller so I should have enough yarn). Can you guys guess what it’s going to be? Can’t wait to start the cal in January! 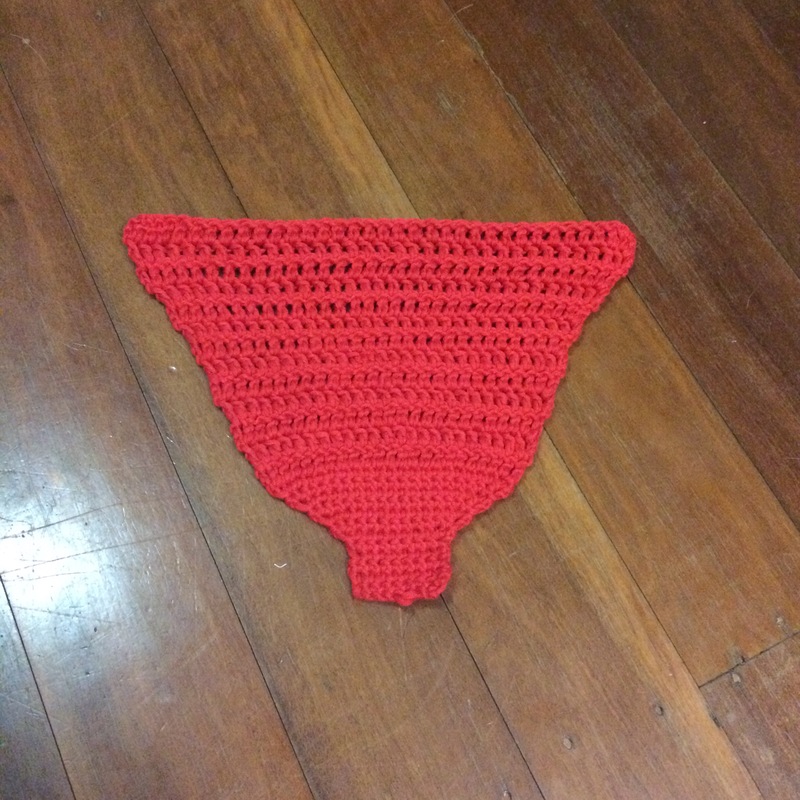 Talking about crafts, I’ve finished my Tunisian crochet dishcloth! 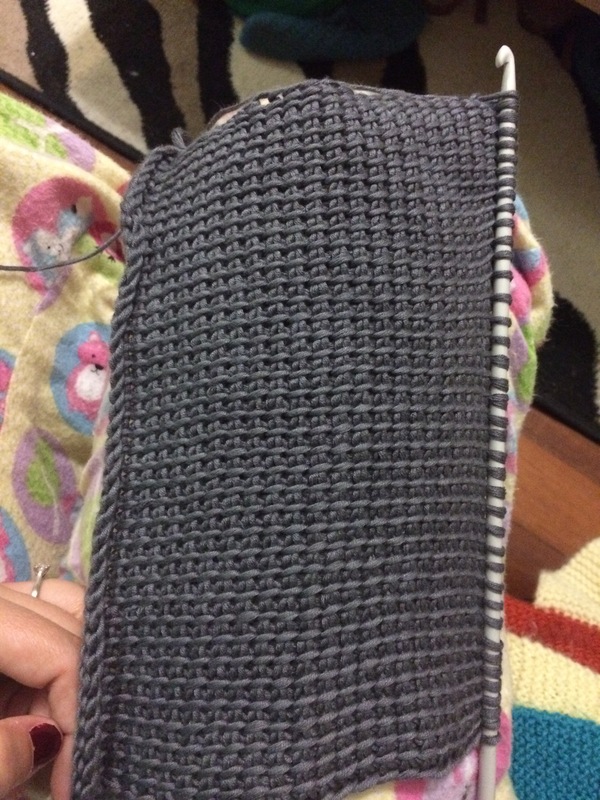 I just love the texture (both front and back) and the yarn I’ve used. It feels great and is actually very effective at drying dishes! 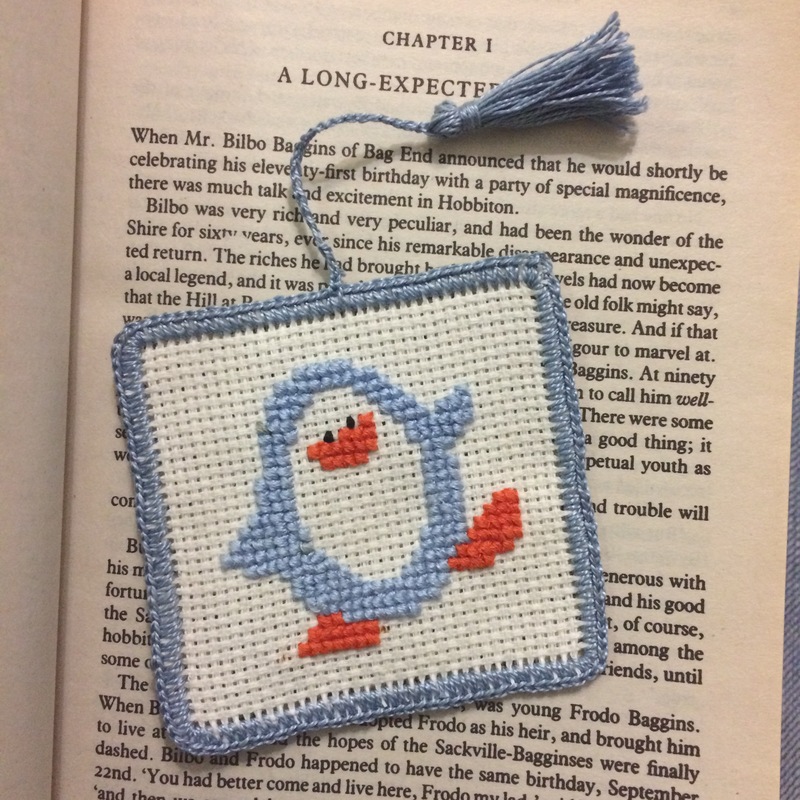 I have also been stitching this little penguin and thought it would look great as a bookmark, so I crocheted a nice border and made a tassel of the same colour as the border. I’ll probably be making more of those bookmarks (with different designs) for Christmas. On another note, I had a pretty interesting weekend, I have done some baking with one of my good friends. 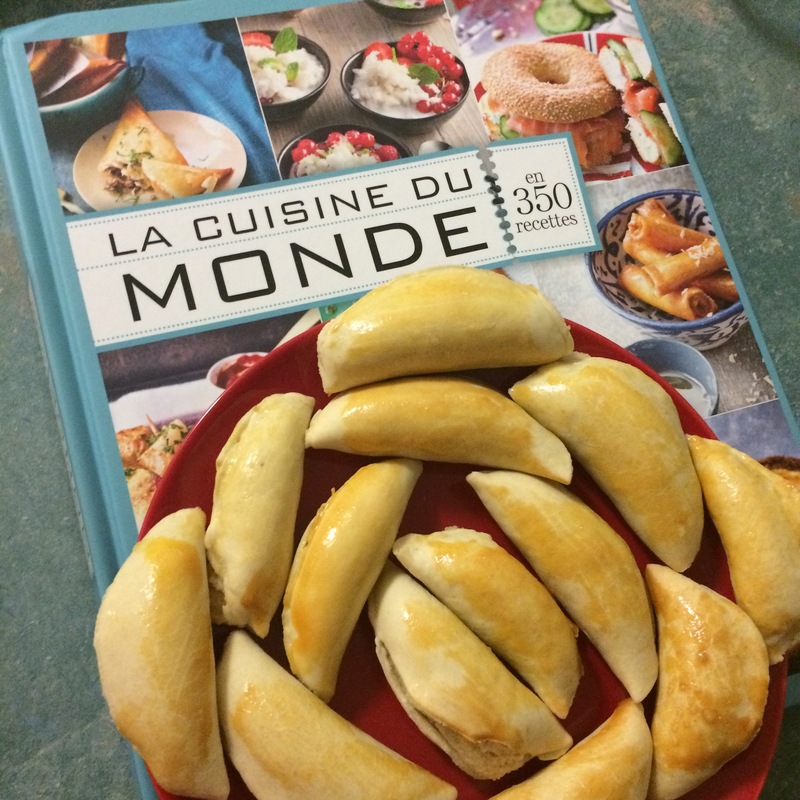 They are “Cornes de gazelles” and they are a yummy Moroccan pastries made with manzipan. Sadly, my friend is leaving Australia to go back to France at the end of the year. But as she is a photographer, she offered me to do my very first photo shoot. 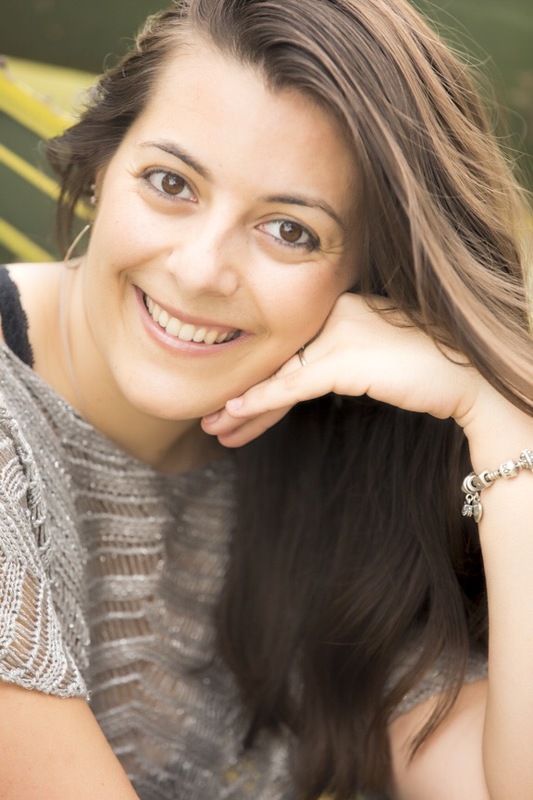 It was a great experience and I think that the reason why it was so good is that she knows me well, so she managed to really get my personality through in the pictures. Quick post before going to bed. 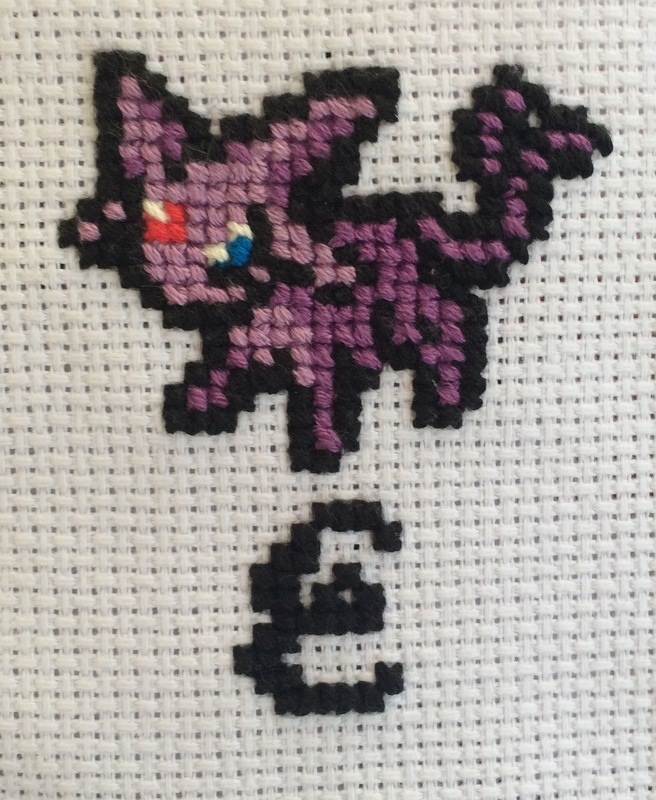 I have finished stitching Espeon and I’m getting there with Fennekin. I found the pattern here. 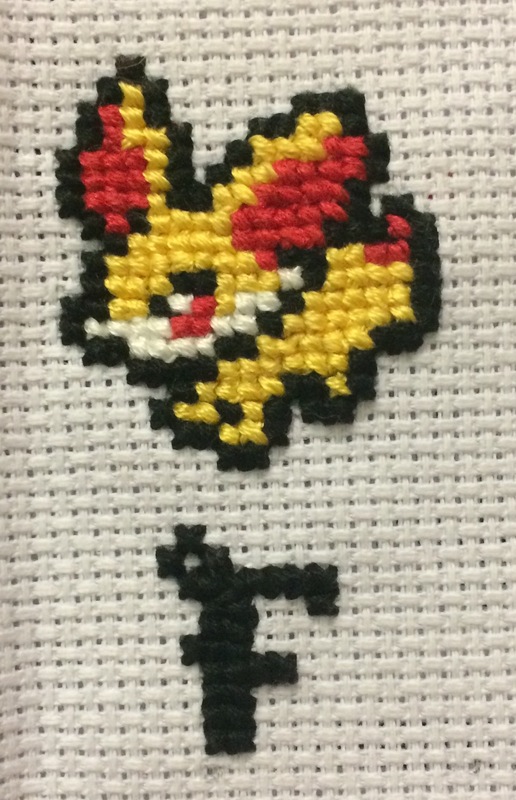 That’s it so far, it looks like it will be super cute!! I just can’t believe it is already Wednesday! 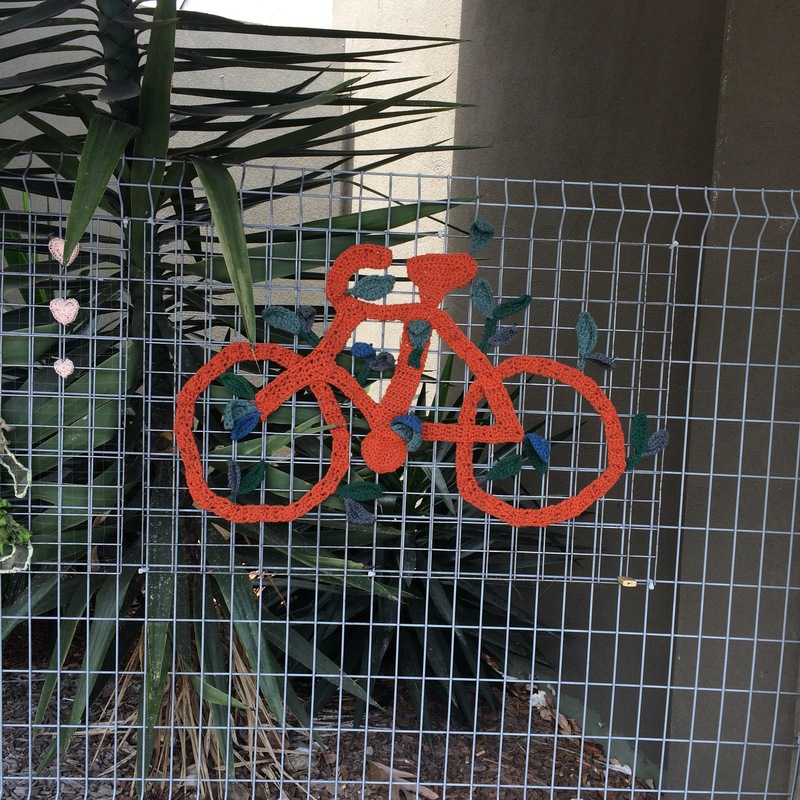 I just realised that I forgot to post a very cool yarn bombing I came across this weekend. 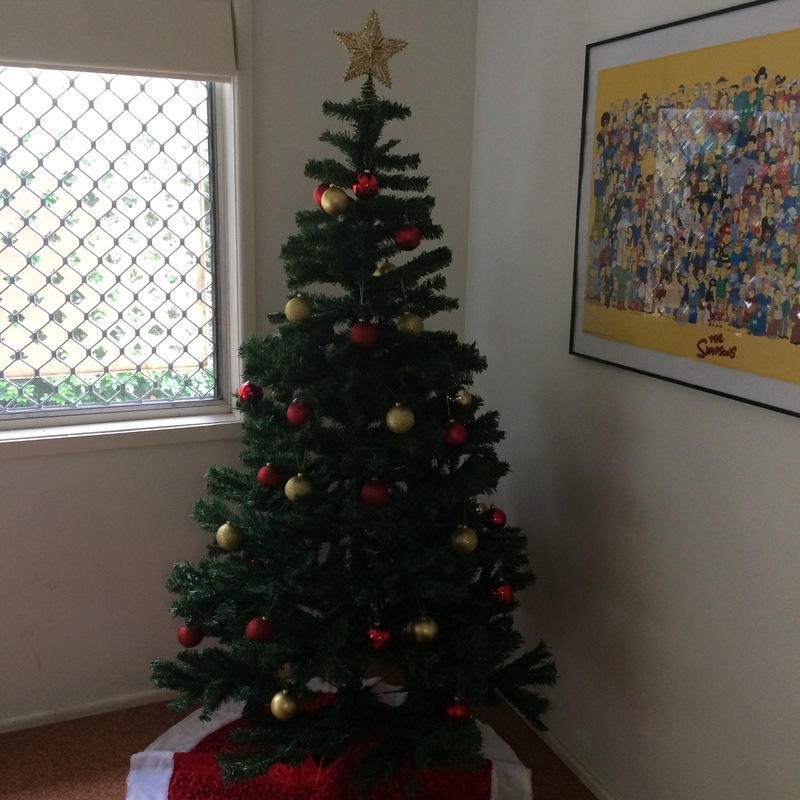 I am also happy to say that we have finished putting our tree together. 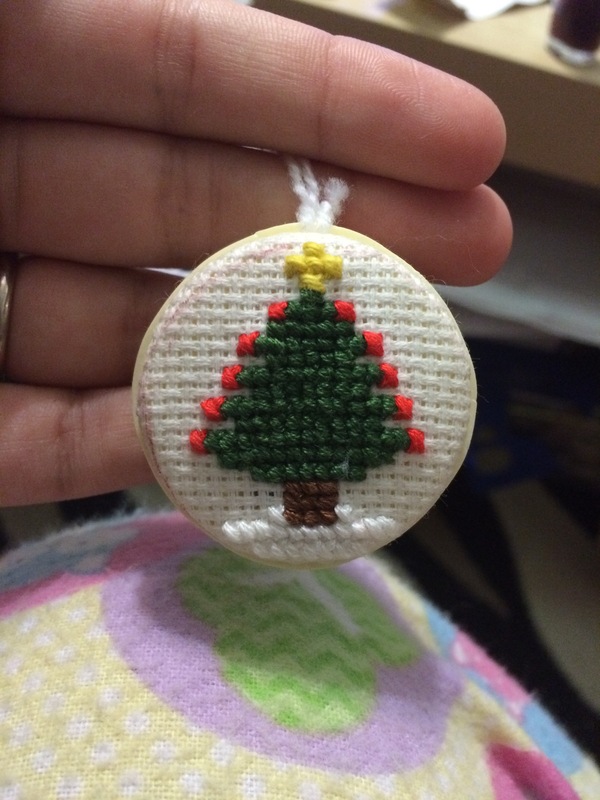 I have even made a cross stitch ornament to customise our tree. 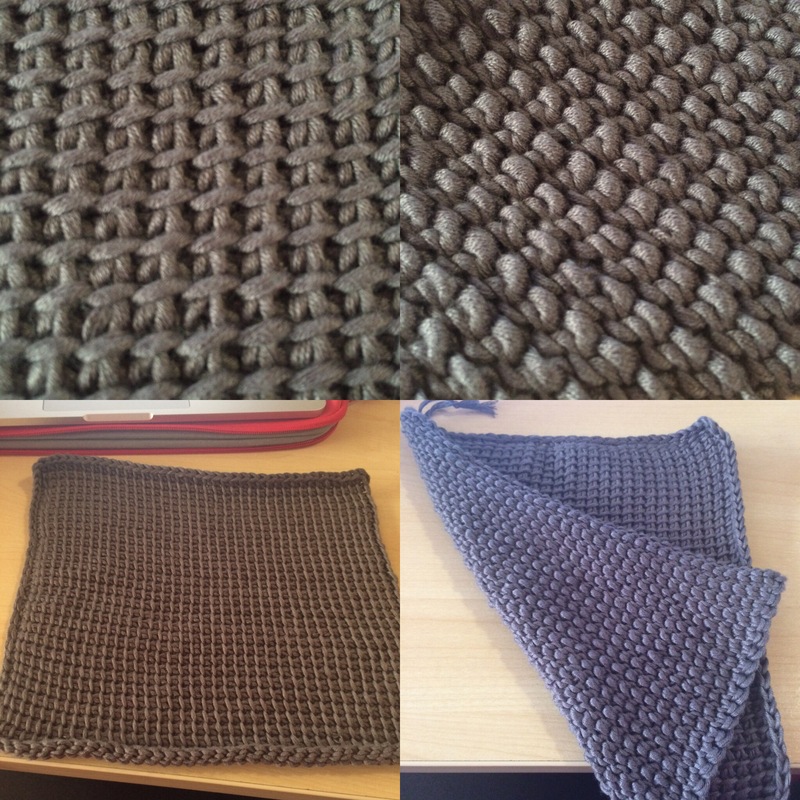 And the one last thing, today is #WIPWednesday after all so there is my Tunisian crochet WIP, I’m making a dishcloth using bamboo and cotton yarn in simple Tunisian stitch. Hope your week has been productive so far and happy crafting! First, I hope that for those of you who are in France, you and your family and friends are all safe. When I woke up on Saturday morning and got the news of the attacks (Saturday morning in Australia is Friday night in France) I had never been so afraid as my little brother lives in Paris in the area where the attacks happened. Fortunately he is fine and I am so grateful. But enough of this, there is no point being afraid, we only need to stay strong and united. On a happier note, I have waaaay to many wips at the moment! I guess I’m just going project crazy because of Christmas! 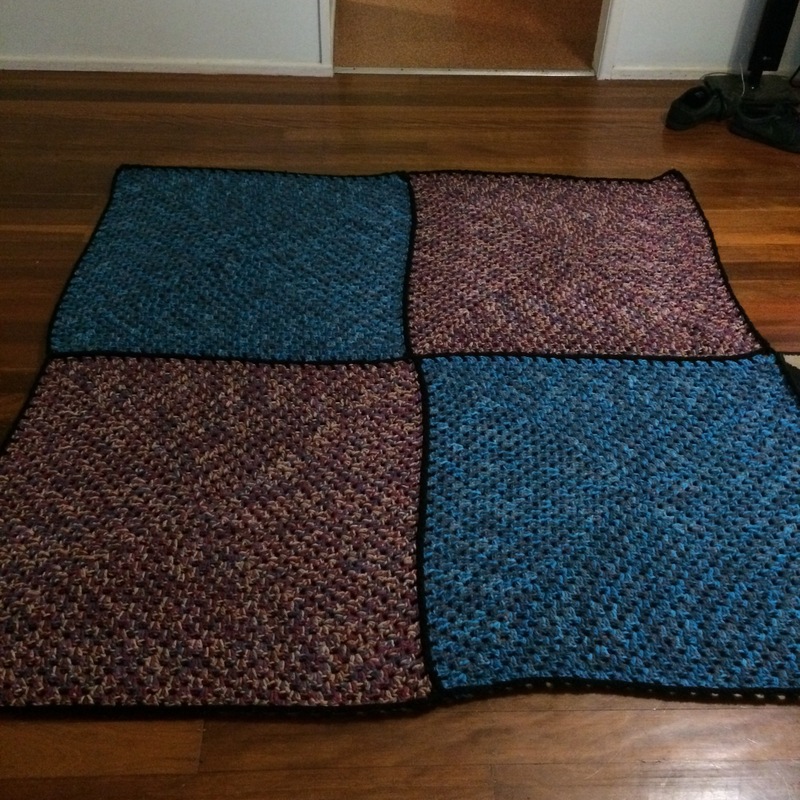 I finished my picnic mat, it’s pretty big, it confortably fits 2 persons + some yummy food! 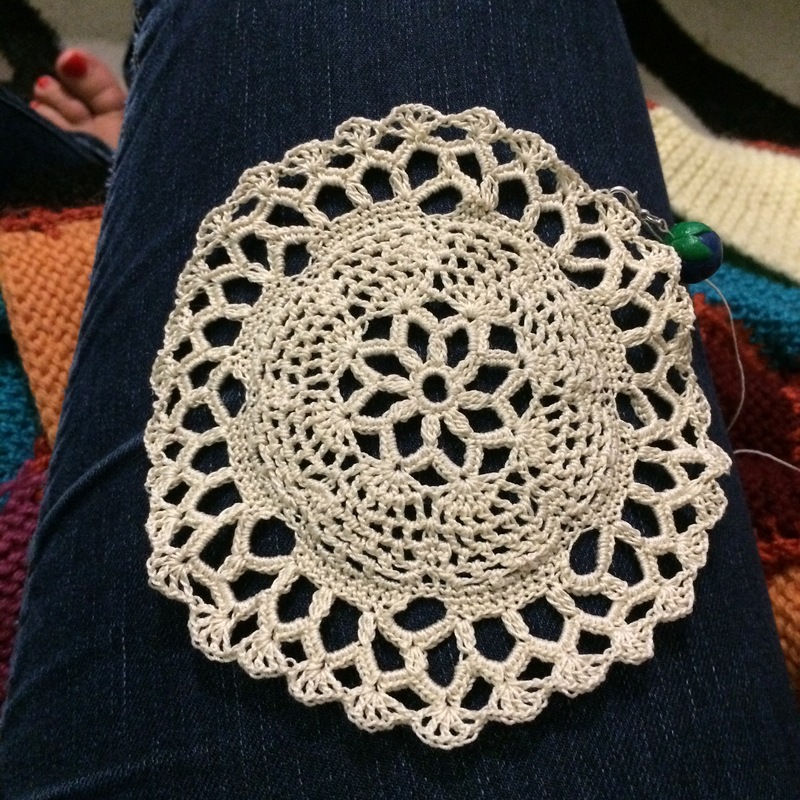 My lace table center is also getting bigger, I love the feel of the tiny crochet hook and of the cotton thread. 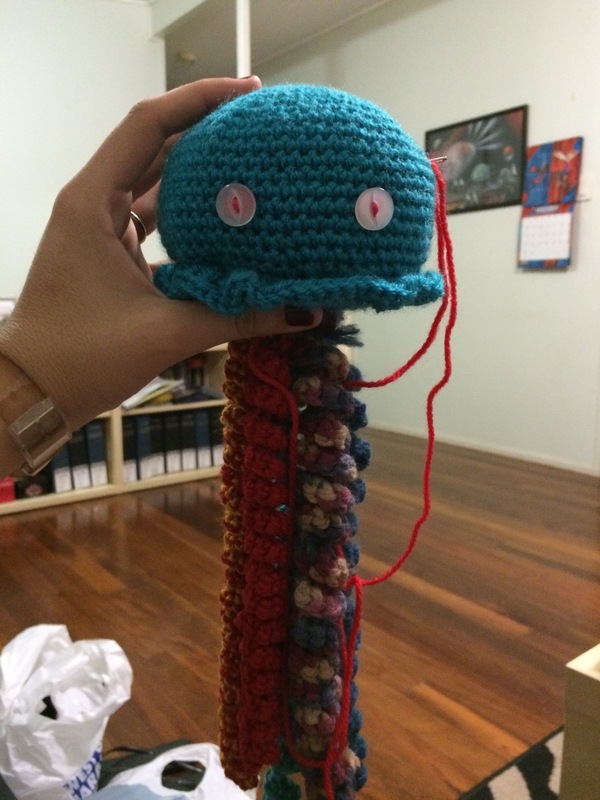 And last but not least, my two Mr. Jelly are getting more tentacles. 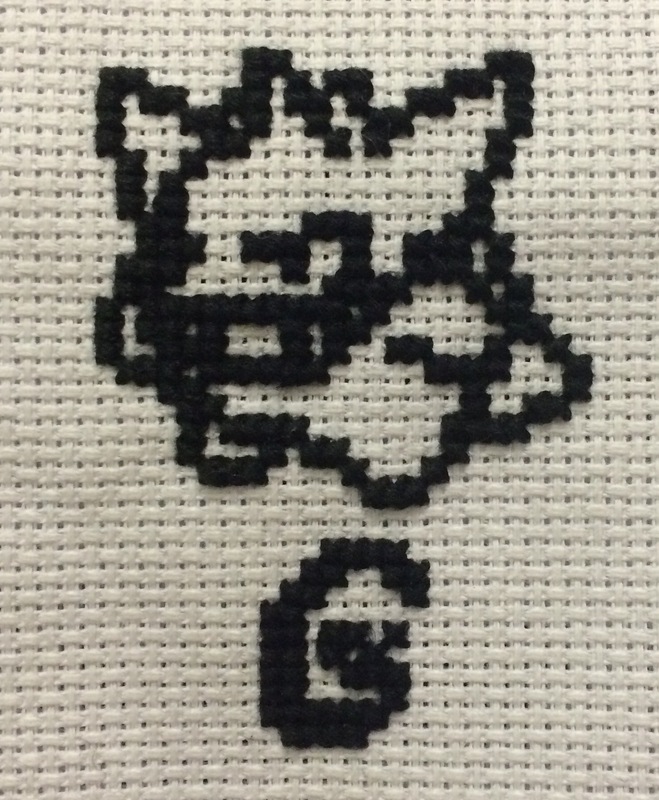 This week I didn’t get much time to cross stitch between preparing Christmas presents and birthday presents. 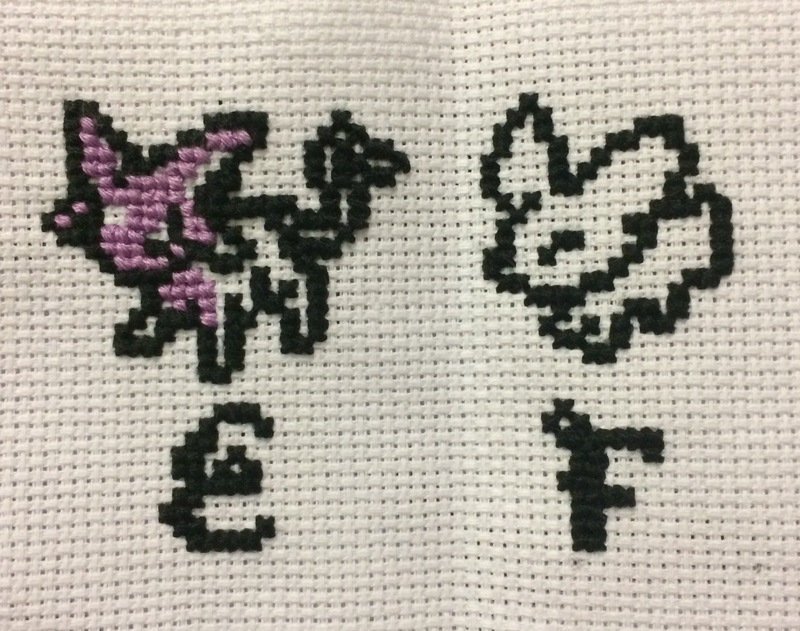 But I still managed to stitch the outlines for E and F and to start filling espeon. 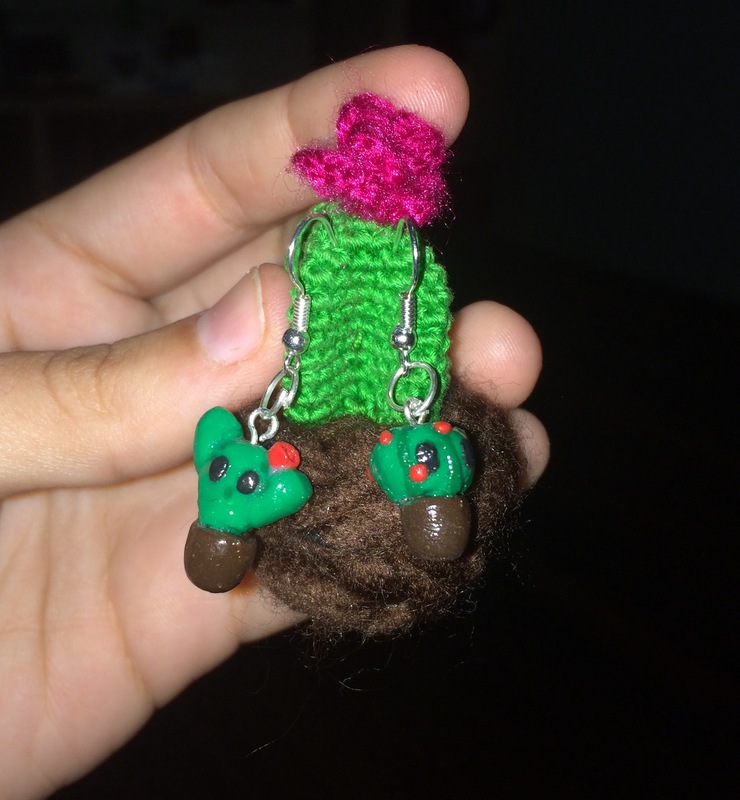 I also made those cacti earrings for my friend’s birthday as well as a small crochet cactus that I have already shown to you guys. My nana is really awesome and sent me a package full of goodies 🙂 I got a new cooking book but what I’m most excited about is the old craft magazines she sent. This is the one I’m using at the moment. I’m working on my lace skills 🙂 this will be a Christmas present. 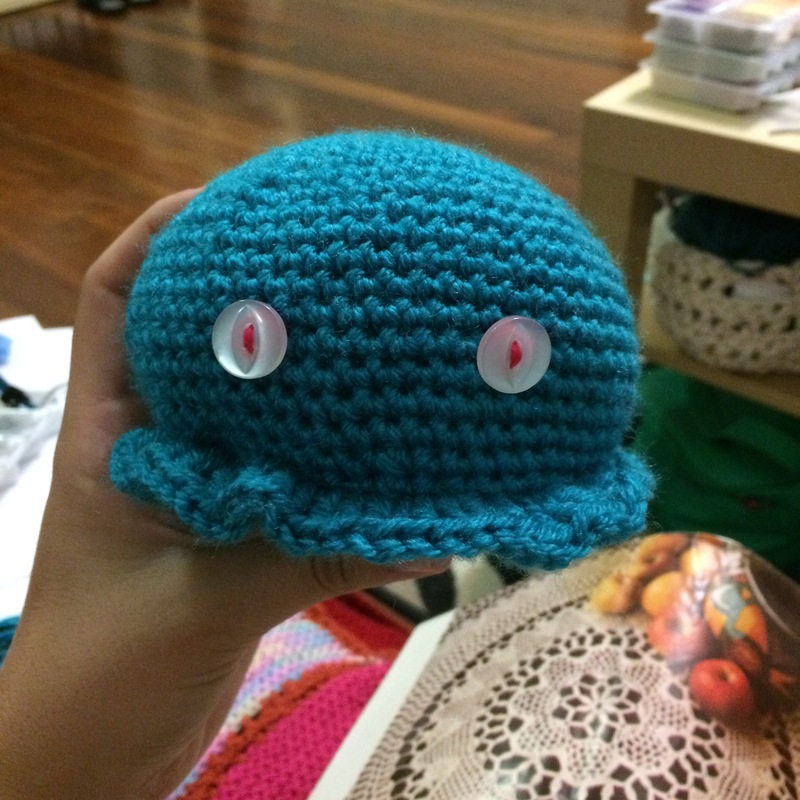 I have also finished the top of Mr. Jelly 2. 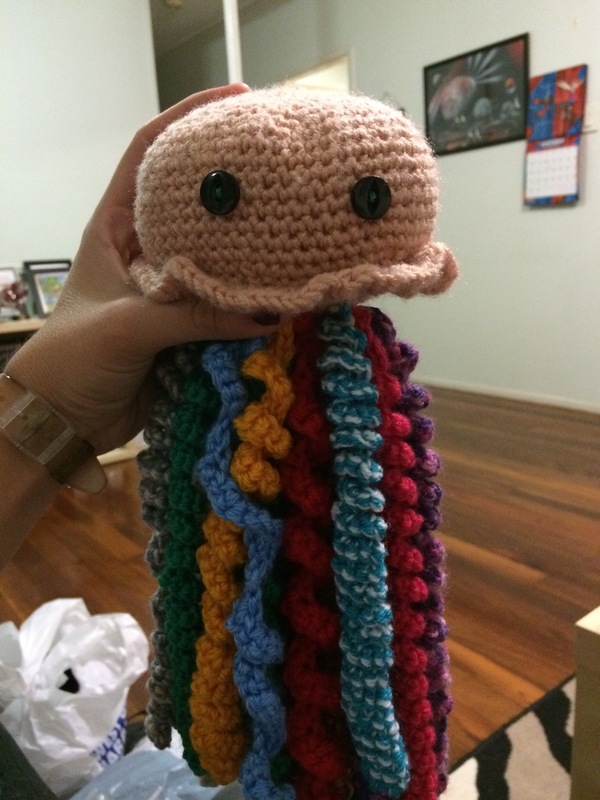 Almost finished this present! Hope the beginning of your week was exciting too.